The 6100 series footswitch allows hands free control of industrial machines by acting on the machine’s motor through a power interface, like a contactor. Available with 1 or 2 switches depending on your requirements, the 6100 series uses a special mounting plate that allows for easy, sturdy connections to a pneumatic valve. 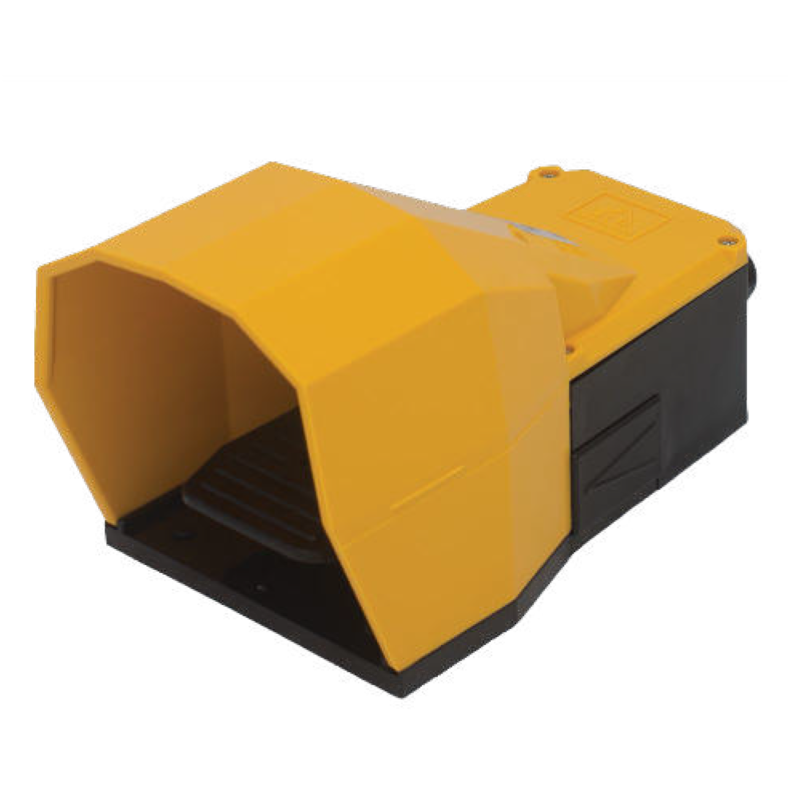 The 6100 can be constructed out of die-cast aluminum or rugged plastic. Both versions come with anti-slip pads on the bottom to help prevent the footswitch from sliding, however for smooth surfaces, the aluminum construction is recommended as the heavier weight helps to further prevent the 6100 footswitch from sliding. It can also be configured with an over-sized cover which better accommodates steel toed / safety shoes to help avoid accidental kicking of the switch cover. Additionally the 6100 footswitch may be fitted with a lock-release device used to keep the pedal pressed, or with a safety device to prevent accidental operation.